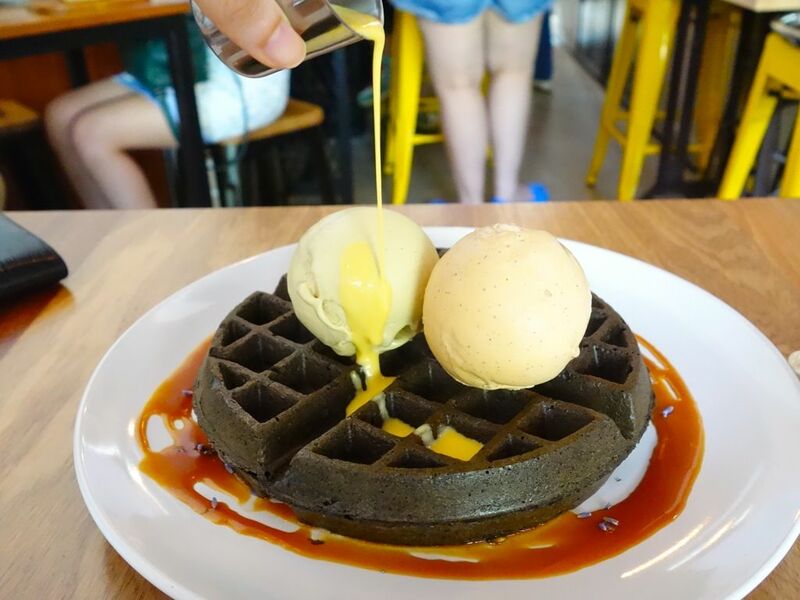 Another waffle cafe that is on the hit list of SG Instagramers is the FATCAT Ice Cream Bar, located in sleepy Bedok. 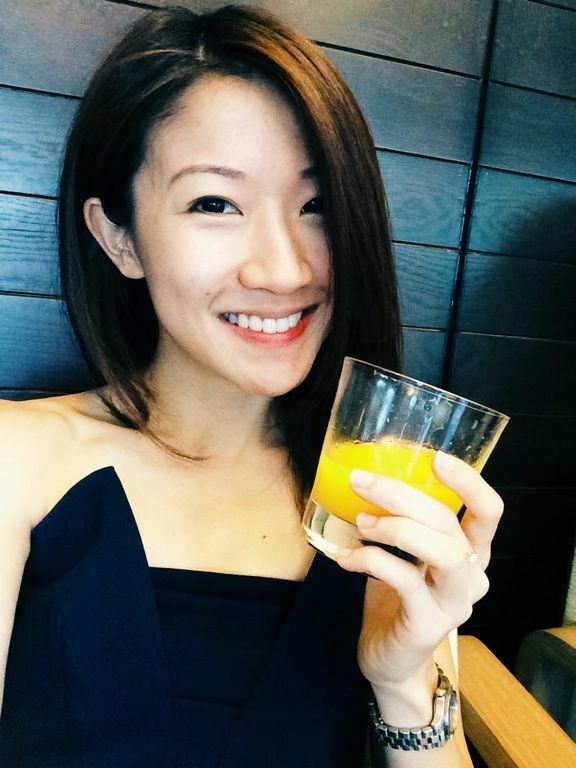 Do a quick Google search and you'll definitely see photo after photo of what i call the the 'Salted egg yolk Pour-over method'. And here's my contributing photo to add to that never ending list. 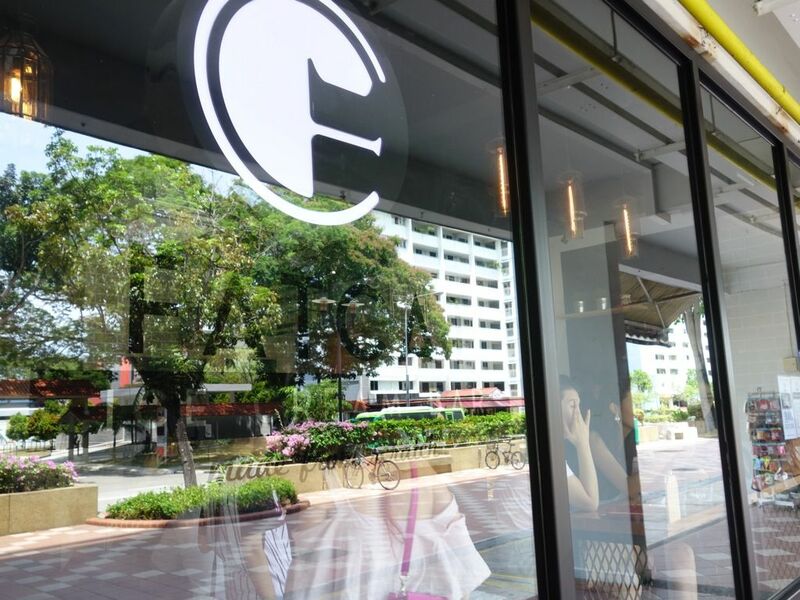 Fatcat is known for their waffles first and there are 2 types- Original Waffles ($4) and Gourmet Waffles ($6). 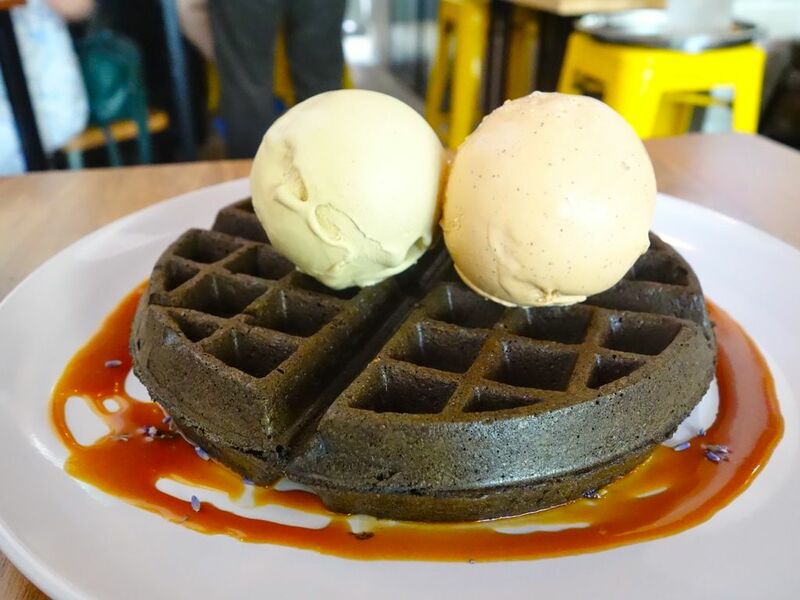 The first is a brown butter waffle served with salted caramel, chocolate fudge sauce and a sprinkle of lavender and the latter is slightly more fancy looking with its dark charcoal appearance. 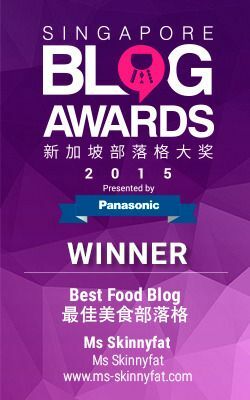 It has an added element of salted egg yolk sauce. I think people are kinda too easily distracted by the waffles. If i can bring your attention to their name, it's Fatcat Ice Cream Bar and not Fatcat Waffles Bar. Get your priorities right people because the ice cream is pretty yums! It's $3.90 for standard flavor (white tag) and $4.50 for premium (black tag). 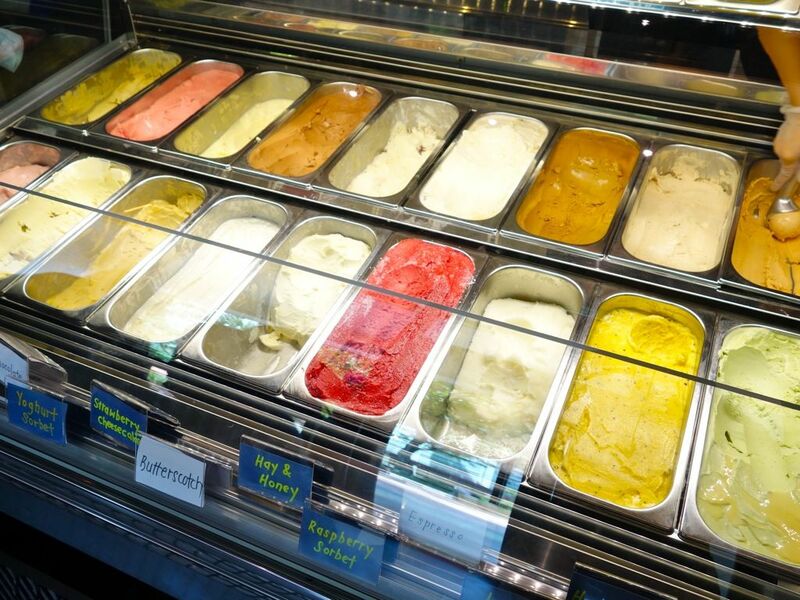 Some of the popular flavors include butter beer, hay and honey and thai milk tea. 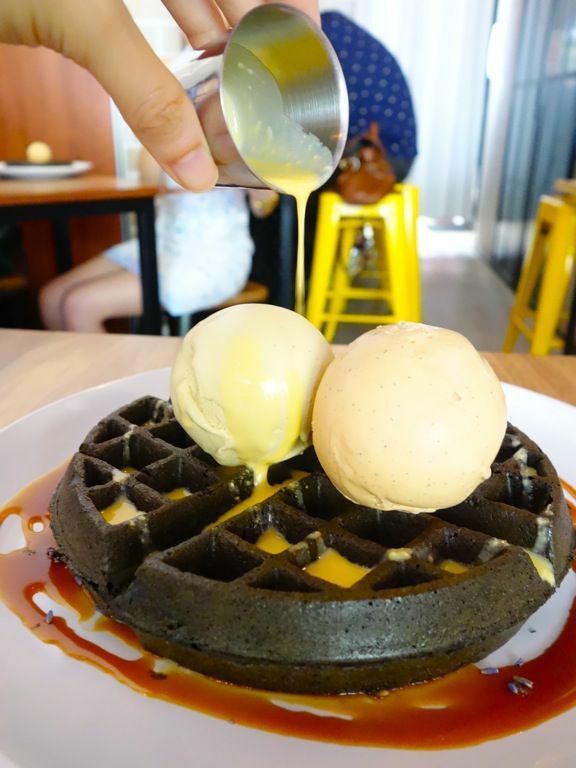 We added pistachio and thai milk tea ice cream to our charcoal waffle. Don't you love the big round spheres of ice cream? The pistachio was very creamy and had an intense nutty flavor. It's a little on the sweet side though. I thought the Thai milk tea was so so, but it's definitely better than Sunday Market's which was more icy and diluted. I liked the waffle at Fatcat. They are crispy on the outside and didn't get too soggy even with the ice cream. The plus point is that they are CHEAP. I wouldn't mind paying a little more for that extra bit of salt in their batter though. Having tried the charcoal waffle with salted egg sauce, i thought the normal ones would be sufficient. The superb smokey salted caramel and that hint of lavender were more than enough actually (it wasn't like the salted egg sauce was anything close to spectacular. i found it diluted in fact). I would however gladly have more of the salted caramel. I suppose it's possible to finish 1 waffle on your own. 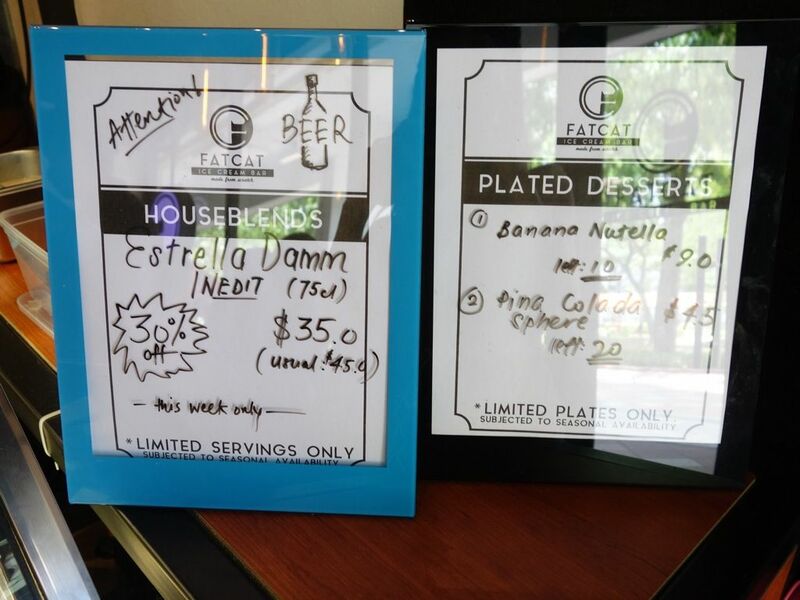 Fatcat also does a plated dessert menu that changes once every 2-3 weeks. Desserts come with an amuse bouche as well. Well, it's a gimmick that works i guess, though i think that Fatcat's waffles and ice creams can hold their ground.